Today we have our third guest column from Malcolm Pett of Greyhorse Bot fame. I have always thought of myself as out going sort of person who likes a challenge and is not afraid to try something new. Although I haven’t done as much as some people, I have had my fair share of adventures including, windsurfing, flying lessons, Scuba diving and sailing. Those are among some of the things I have tried and learned. But while talking with some friends who I have only known over the last few years they said I was more of a “nerdy” type of guy. When I quizzed them about why that was their impression of me? Their answer was simply I am always talking about computers, programming, databases, 3d printers and lately quadcopters….. Nerdy! …As the one that my friends tend to ask about anything technical it was going to be a hard battle to win. Any one that knows me will certainly not call me “socially inept”. Which is probably what my friends were thinking when they used the term. So when I start talking about System development or statistical modelling then you will probably think the same. One of the things I love doing as a “computer nerd” is analysing our in house database to find horse racing systems. Lately I have been spending a great deal of time on developing ratings. This is where you actually assign a number to each runner in a race and then rank them by that number or simply use the rating you have assigned them. The fascination is in the way you create the ratings. A trick you may want to use is to combine a number of ratings from different sources to create what some people refer to as “Power Ratings”. 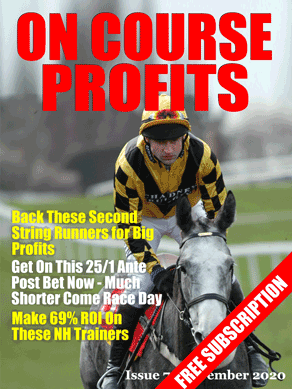 So you could use the OR, RPR from the racing post and another rating like Sporting Life’s 5 star rating. Add them altogether and you have ratings from 3 different sources which may point to another winner rather than the favourite. I would suggest sticking to handicaps when you begin purely because all runners tend to be rated unlike say “maidens”. I have tried this myself in the past and it can work quite well but the downside is the work involved getting all the information together daily. I much prefer automation, and because of that I like to build my ratings based on statistical information. How often a horse that came 1st place last time out…Wins. How often a 3 year old Horse wins a handicap. You can see an example of how you could do it here. I am a great believer in ratings (not just because I am a nerd) because I feel they give you a consistent way of selecting runners which tends to also give you a consistent strike rate. The trick is to find the ones that offer value. Today we have our second guest column from Malcolm Pett of Greyhorse Bot fame. Apart from automation I love statistics. Personally I don’t understand how anyone can even start to follow a system or tips unless they have some basic statistical information. At the very least you need two pieces of information. Strike Rate (SR) and Average winning odds (AWO). Those are the two main ingredients of any system and if they don’t balance these, then there is no profit. If you have a low SR you need higher AWO. Or if you have a high AWO then you can get away with a lower SR.
Basically the 25 winners have to cover the 75 losers. And so those 25 runners need average winning odds of 3.00 just to break even. You are going to need something higher than 3 to really make a profit. So your strike rate needs to be better than 14.28% before you make a profit. The two above examples do not take into consideration any cost, like Betfair’s commission. Your strike rate can also point you in the direction of your longest losing run, which in turn, can help you decide on the size of stake compared to your bank that you should use. Many systems fail just because the AWO goes down. This happens when too many people start following a system especially when it is based around outsiders. If you are following a system you need to keep an eye on both the above figures. There will be variations especially during spells without winners or really good winning runs, but overall you should see very small changes. Take a note of the current SR and AWO the moment you start following any selections which will give you a point of reference for the future. If you are a real nerd like me then you can even go back over the results and test these two figures at different points in time. I did this with one service and found that over the last 6 months both figures had been dropping slowly, pointing to a place not too far in the future where there would probably be no profit at all. At the Grey Horse Bot site we do a lot of “open” system testing and all our selections come with a full set of day by day results. But we don’t stop there we also have a month by month round up and the full statistics including Return on investment and a graph thrown in for good measure. My belief is that many people start using systems/tips without even considering the numbers. You can find out more about Grey Horse Bot here.